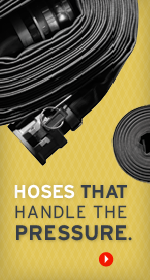 Its purpose is to handle the liquid, solid or gaseous material the hose is transferring. The tube is the innermost element of the hose and is intended to be resistant to the product conveyed. Its purpose is to withstand the working forces necessary to transfer the product conveyed by the hose tube in the application. Typically this is rated in a maximum working pressure (WP) in pounds per square inch (psi). Its primary purpose is to protect the tube and reinforcement from external factors such as, abrasion, weather, ozone and external abuse.